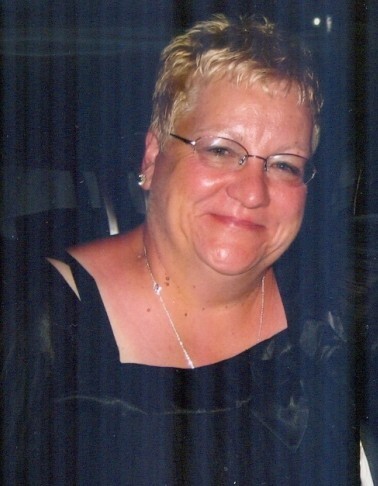 Marcusse, Susan (Wojciakowski) aged 64, of Grand Rapids, went peacefully to be with her Lord and Savior on Thursday, March 28, 2019, following a brief illness. She was born on February 13th, 1955, the beloved daughter of Edmund and Patricia Wojciakowski and baptized at Saint Isidore Parish. On May 7, 1976, she married the love of her life, Roger Allen Marcusse. Susan (affectionately called Big Susie or Gigi by some) was a loving wife, mother, grandmother and friend. A parishioner of St. Alphonsus Parish, Susan had a special devotion to Our Lady of Perpetual Help. She enjoyed working in her beautiful flower gardens, shopping and going on road trips but most of all she loved spending time with family, especially her grandchildren. She was an excellent cook. Polish foods from her heritage were her specialty. She was preceded in death by her parents, brother, Michael J Wojciakowski, and sister, Mary A Jason. She was proud beyond measure of her family and blessed with an abundance of faith, love, and happiness. Susan leaves to cherish her memory, husband Roger, sons Andrew (Dawn), Jeremy (Amanda), Charles (Lauren) , brother Edward (Sally) Wojciakowski, five sisters, Barbara (Gene) Sova, Patricia (John) Kalinowski, Linda (John) Jablonski, Lori (Mark) Wansten, and Doris (Gordon) Klein, 5 grandchildren, Edmund, Charlotte, Penelope, Norah, Vivian and awaiting the arrival of a sixth grandchild. There will be a Memorial Mass for Susan, Wednesday, April 3, 2019 at 11:00 a.m. at St. Alphonsus Parish, 224 Carrier St. NE, Grand Rapids, MI 49505. Family will greet friends one hour prior. Due to Susan's unexpected passing, the family has humbly requested that, if friends feel inclined, in lieu of flowers contributions be made to a Go Fund Me account set up at the link below to help with expenses.